All music published by Chrysalis Songs (PRS/BMI). Comes in a standard jewel case with a two-folded 4c insert (six pages). On the backside of the sleeve only track 1 to 13 are listed. On the backside of the booklet (p. 6) track 1 to 15 are listed. Even for novices of Aphex Twin's dissected, rehashed and distilled brand of limerick-as-music compositional style, they would appreciate the effect of this work. The mimicry is deft and surprisingly listenable (one might even argue that in some cases it's better than the original). 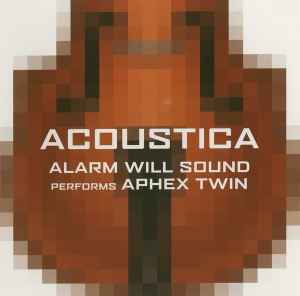 The herky-jerky randomness of Aphex Twin's cavorting, bang-about music is perfectly—amazingly—captured and reinvented here in a new, more refined medium. Life imitating art imitating life?